With Vijay shifting his focus on the remake of Bodyguard (likely to be his 51st film), his project with Jayam Raja, might be put on cold storage for the time being. Yes, Vijay, in all probability could move on to the Bodyguard remake. And this film will be directed by Siddique, who has wielded the megaphone for the original version. Guess who will be producing the remake? It is Geetha Chitra International’s Sivaraju Venkatraju, the producer of Priyamanavale, sources say. 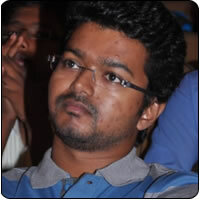 Vijay is currently working on this 50th film Sura and will move on to this film as soon as he is done with Sura. The Jayam Raja project will probably go on floors only after that.